od 2 do 35 godz. 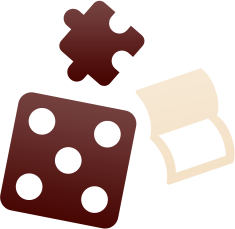 · W-Day – Fortune favors the bold – This is the first day of the Invasion on the northern beaches. 3rd Marine Division must land against Japanese defenders dug-in on a ridge overlooking the beaches. Single map and 8 turns long. · W-Day – Send in the Fire Brigade – This is the first day of the Invasion on the southern beaches. The 1st Provisional Marine Brigade must land and fight their way north towards Orote Peninsular to join up the to beachheads. Single map and 8 turns long. · W-DAY - This is the first day of the Invasion on the both beaches. The 1st Provisional Marine Brigade must land and fight their way north, whilst the 3rd Marines fight their way south and the two forces try to join up the two beachheads near Orote Peninsular. Two maps and 8 turns long. · Orote Peninsular – The first 8 days of the fighting saw the Americans expand their beachheads and join up so as to cut off the Orote peninsular with it's important airfield. Once it was cut off, the Americans, then, had to force their way into the heaviest defended area on Guam not knowing that the Japanese were preparing a Sake fueled Banzai charge. Two maps and 72 turns long. 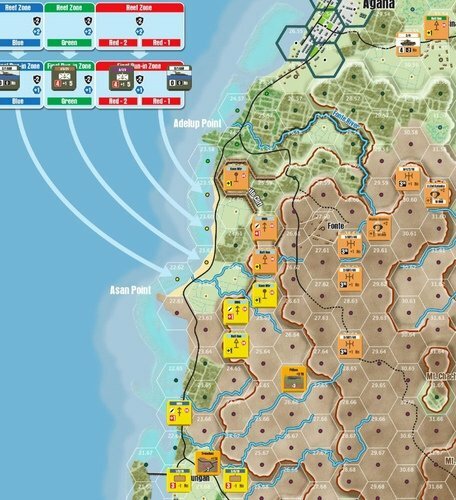 · Into the Jungle - This scenario covers 3rd Marine Division's drive north of the beachheads to take the town of Agana and the airfield at Tiyan. One map and 27 turns long. · Santa Rosa - This scenario covers 77th Infantry Division's attack to isolate the area around Mount Santa Rosa . One map and 27 turns long. 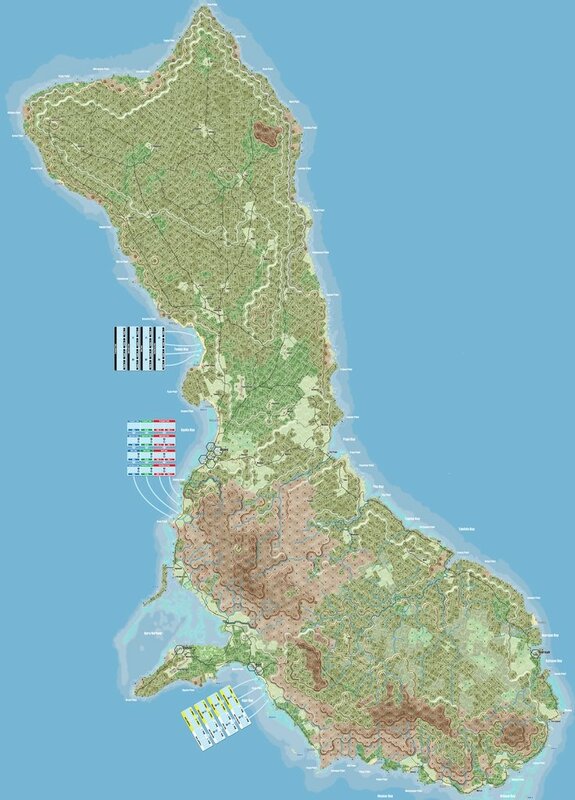 · The Battle for Guam – The full historical campaign from 21st July- 10th August (188 Turns). 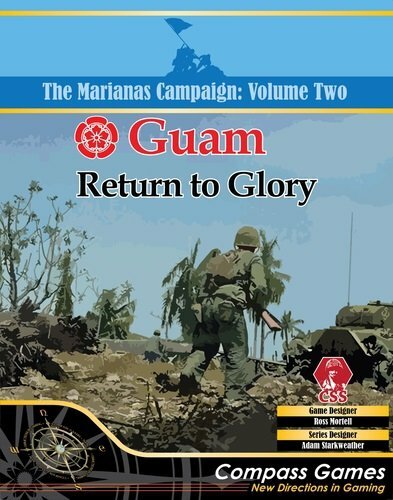 This game covers the full fight for Guam in 1944, from the first invasion at Asan, in the north, and Agat, in the south through the vicious fighting in the thick vegetation at the south end of the island and the final Japanese stand in the north.